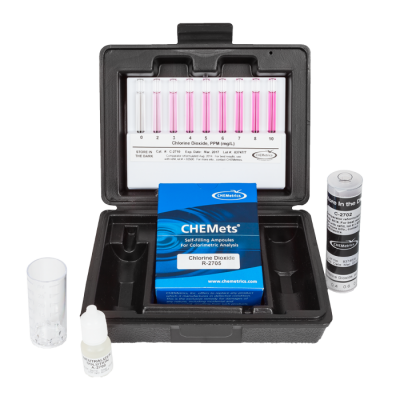 CHEMetrics Carbohydrazine Test Kit - Osprey Scientific Inc.
Carbohydrazide is added to boiler system water as an oxygen scavenger to control corrosion. 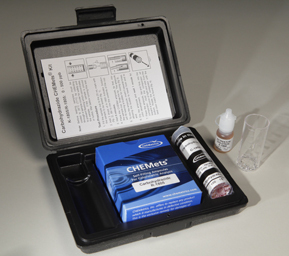 It is a safer alternative to hydrazine , which is toxic. 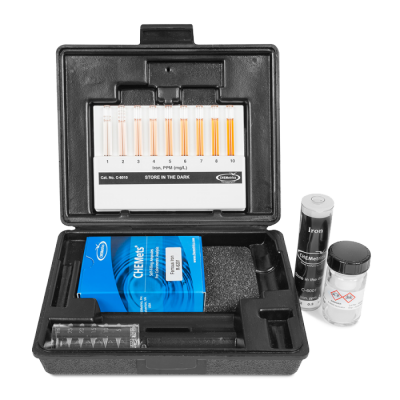 Carbohydrazine reacts with oxygen at low temperatures and pressures. 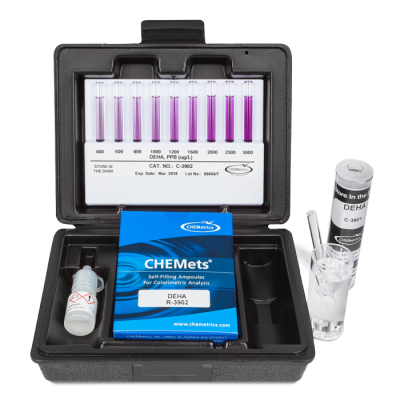 The products of the reaction are volatile and do not contribute to dissolved solids to the boiler water. Like hydrazine, carbohydrazine will also passivate metal surfaces. 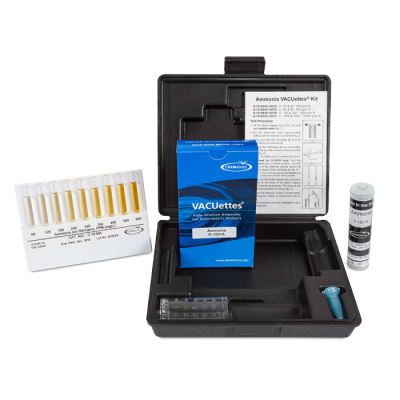 Kit comes in a plastic case and contains everything needed to perform 30 tests: Refill, Comparator, Activator Solution, 25 mL sample cup, and instructions.